Convert your website visitors into leads with automated brand awareness. When a potential lead visits your website, there’s an 85% chance they won’t return. Don’t take it personally, this is the reality for 90% of websites out there. Marketing geniuses wanted to solve this problem and thus a new marketing strategy was born…ReTargeting! It’s an online marketing strategy with a simple goal: capitalize on each and every website visitor. Real estate agents use ReTargeting to automatically re-engage potential leads who have visited their website. ReTargeting is one of the most common and cost effective brand awareness strategies for not only real estate, but across virtually all industries. When a potential lead visits your website, even for a moment, a cookie is placed in their browser which then releases your ads on the other websites they are browsing. 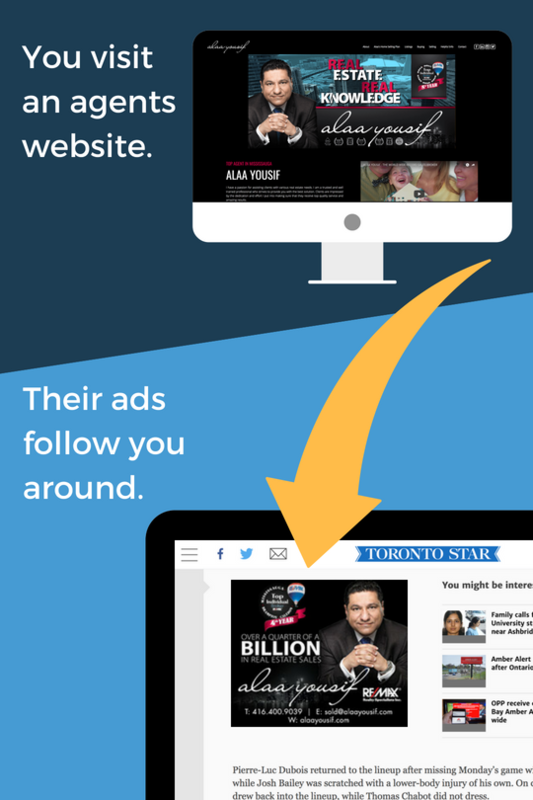 Don’t worry about your ads not showing up, ReTargeting ads are accepted on over 90% of the web! Best of all, your ads are being placed on the websites they already enjoy – talk about positive association! Before creating your ReTargeting ads, you are to complete a questionnaire so we can understand your business goals. Your answers are then used to curate a campaign with the right messaging and branding for your target audience. 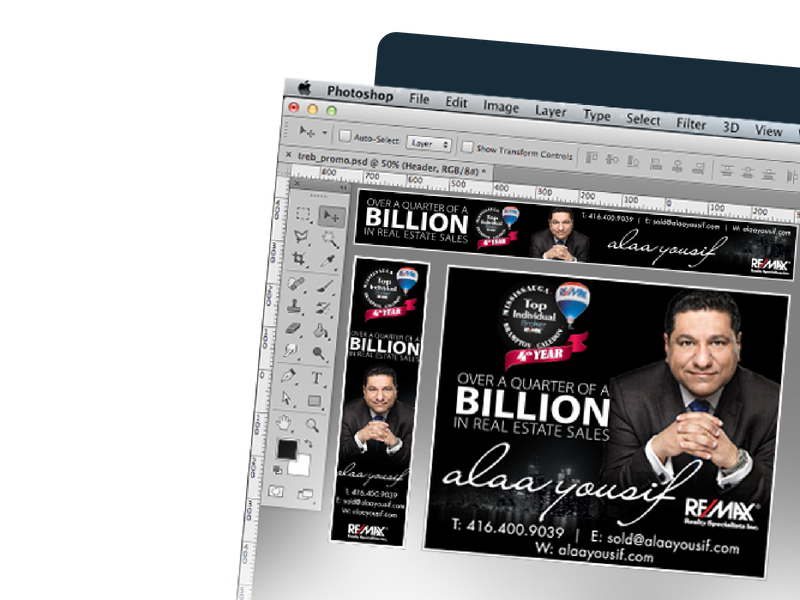 Our professional graphic artists use your branding and ideas to create 3 different ad designs! We create ads in 3 standardized sizes which is a proven method to ensure you get maximum exposure. 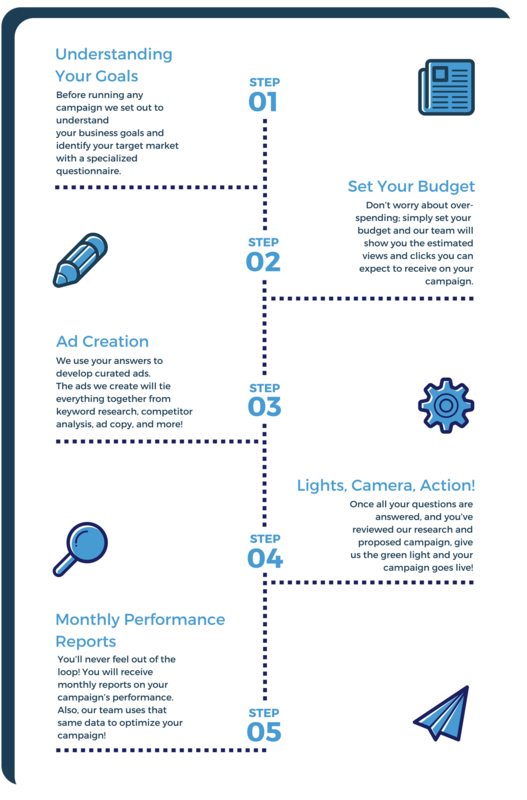 Once you’ve approved your ads, our team sets up the campaign logic and we go live! This is a great time to leverage your website and capture those visitors. 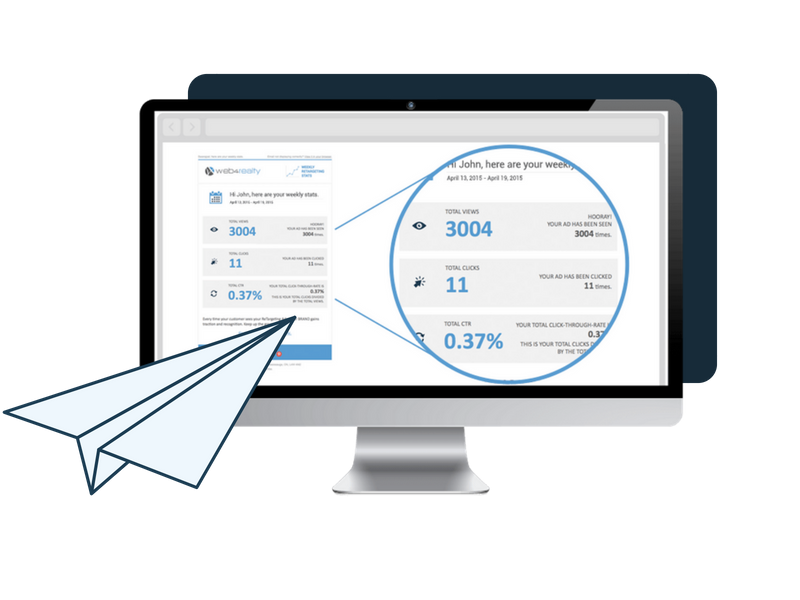 and you gain instant access to your ReTargeting campaign performance metrics. One of the most cost effective forms of digital marketing. ✔ ReTargeting ads are enabled on 90% of the web. ✔ You’re advertising to people already familiar with your brand and have recently demonstrated interest. ✔ ReTargeting efforts see greater ROI than other forms of virtual advertising. Exceptionally efficient way to build brand awareness. ✔ Individuals will be exposed to your name, reinforcing your brand and encouraging your prospects to return to your website. ✔ Brand awareness is enhanced through priming. Individuals who view your ads outside your actual website are primed by implicit memory to your name and brand. ✔ This is the same concept that goes behind all product placement campaigns (e.g. someone drinking a Coca-Cola in a movie). Effective way to reach leads that don't convert right away. ✔ For most websites, only 2% of your traffic will convert on the first visit. 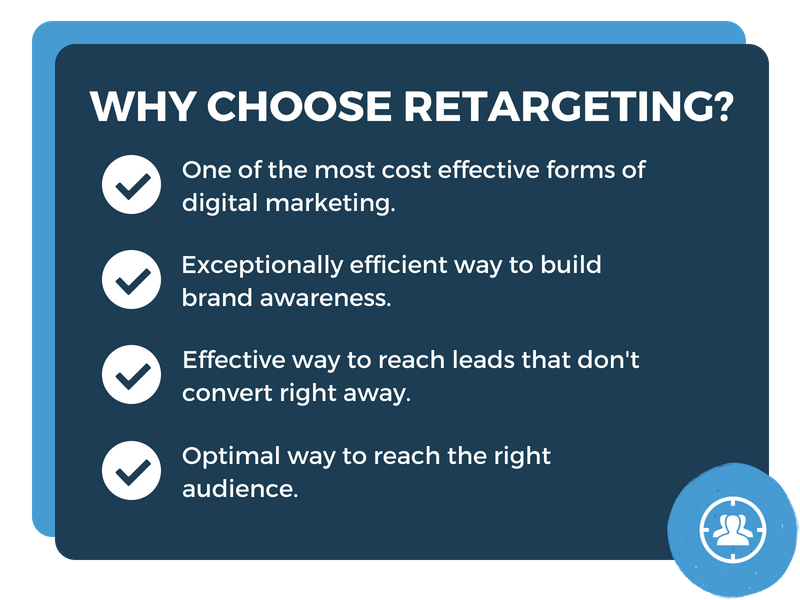 ReTargeting allows you to recapture the 98% of users who don’t convert right away. Optimal way to reach the right audience. ✔ The individuals you are ReTargeting are not random. You are targeting those looking into your business, real estate. Most of your website visitors don’t end up coming back after the first visit. Custom ads, just for you.